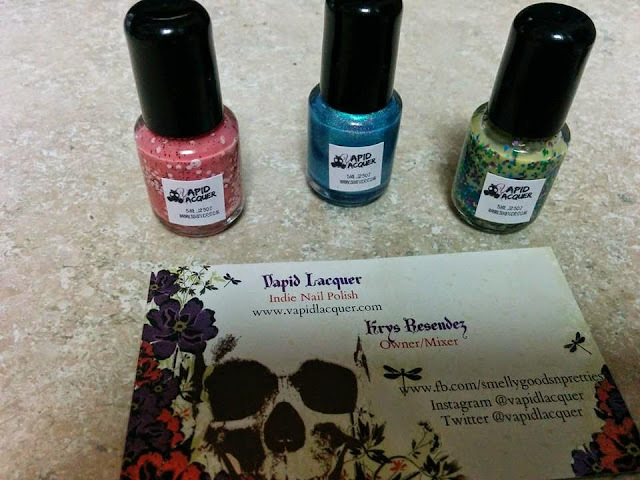 Krys from Vapid Lacquer/Smelly Goods & Pretties recently sent me three polishes from her Good Causes... Good Things line. (Sent for an honest review!) If purchased, a portion of the proceeds from these polishes will be given to charity. The specific charity that the proceeds of these three polishes will go to is the Just Keep Livin Foundation. I have the last one on the blog for you today! This polish was also a lot of fun! It reminds me of a very pretty coral stone. <3 So unique compared to all the other polishes in my collection. 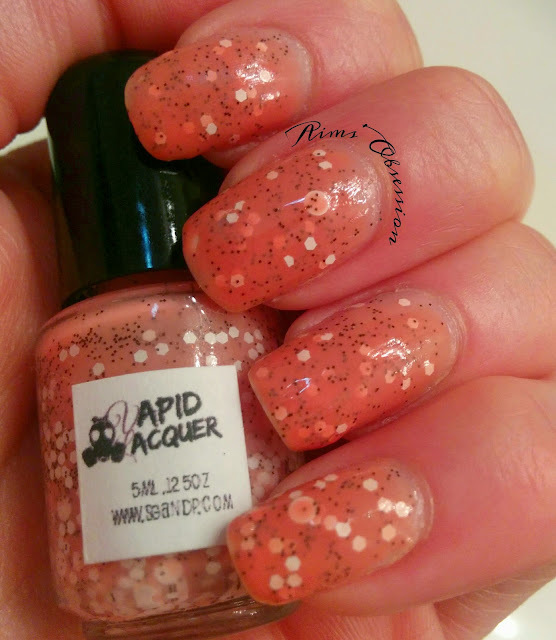 Wooderson is a peachy pink (somewhat coral) colored polish that has different sized white glitters and brown glitters throughout the polish. 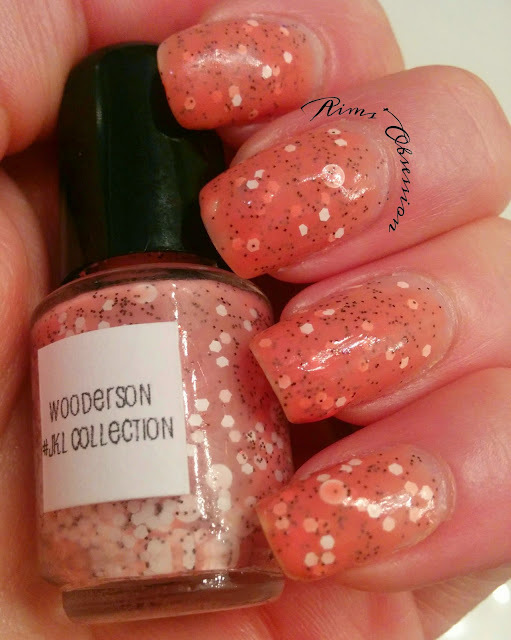 Like all Vapid Lacquer polishes, Wooderson is 5-Free and cruelty free. Every time I get a glitter polish I prepare myself for the possibility of struggling with the application. This was not the case with Wooderson. Application was great and I only used 2 coats of polish to achieve this look. You really do not need to fish for glitters, although the large round white glitters were a little harder to pull out. (This could be due to the fact that I was using a mini bottle though). Wooderson is available for purchase on the Vapid Lacquer website for only $10 for a full size (15mL) or $5 for a mini (5mL). If you end up wanting all three (which I completely recommend because they are so fun!) then the price is RIGHT at only $27 for the three full sizes or $14 for the three mini sizes.